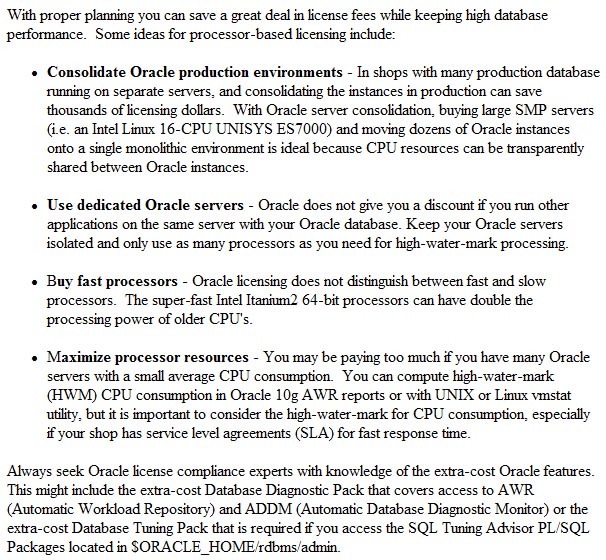 You don't have to be a billion dollar a year company to negotiate an Oracle license. Even a small company can participate in Oracle software license negotiation, but you need someone with experience in Oracle license negotiation to help you get the best deal. It's also important to avoid using a company that sells Oracle licenses, because they have a vested interest in helping you pay the highest fees. Oracle licensing negotiation can be a tricky endeavor. You need to understand the needs and motivations of the Oracle sales representatives and understand the different ways that Oracle will license their software. The labyrinthine Oracle software licensing rules are always changing and you need an expert negotiator to ensure the best deal. BC Oracle license negotiators are available to assist with negotiations for new Oracle software licensing and changes to existing Oracle licensing agreements.